As we follow the evolution of the Regenerative Economy, it is exciting to observe the emergence of more and more vibrant and intricate knowledge networks, spanning many geographies, that nurture place-based enterprises, empowered participation, shared-value, and experiments in alternative ownership models. 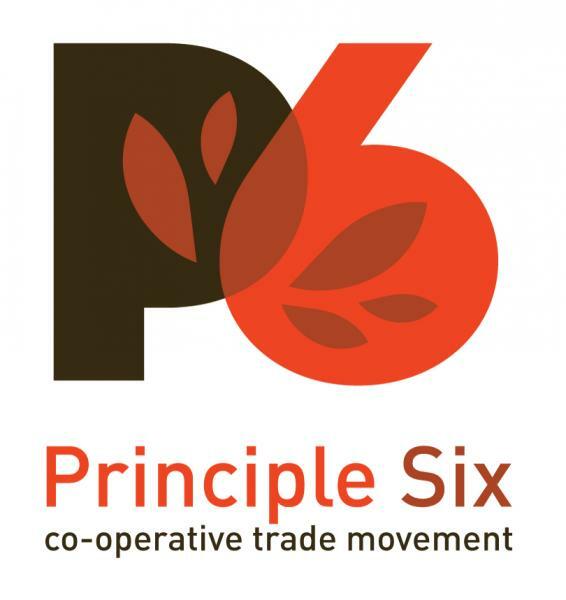 The Principle 6 Cooperative Trade Movement is one such growing network. A group of retail and producer food cooperatives that is exploring creative ways to support a just and healthy food system and to encourage conversations around it, P6 members are now based in the Midwest, South, and Northeast: Bloomingfoods in Bloomington, Indiana: Eastside Food Coop and Seward Community Coop in Minneapolis, Equal Exchange in Worcester, Massachusetts: Maple Valley Cooperative in Cashton, Wisconsin; Viroqua Food Coop in Viroqua, Wisconsin; Ozark Natural Foods in Fayetteville, Arkansas and Three Rivers Market in Knoxville, Tennessee. 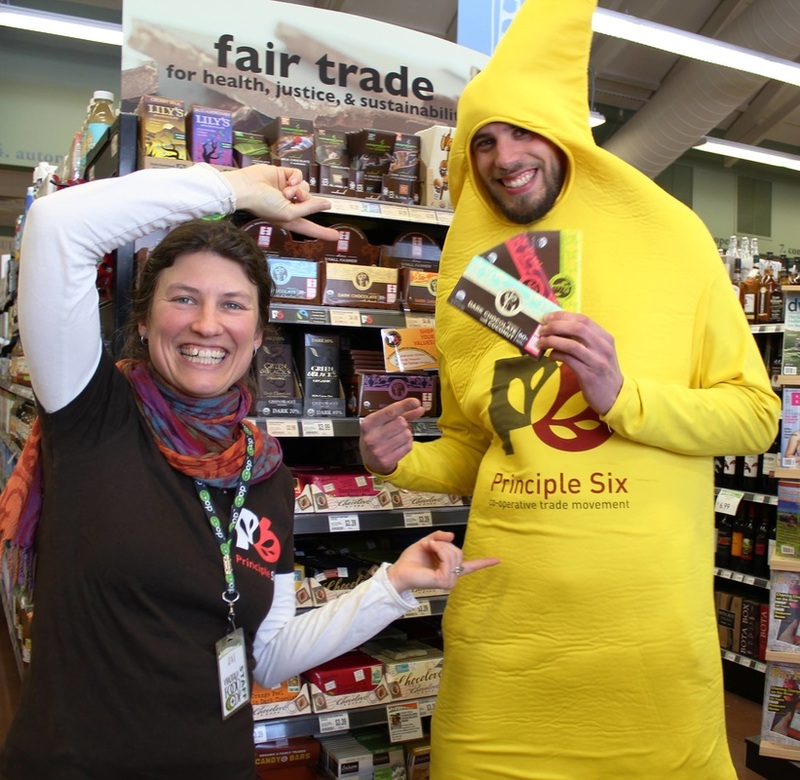 Menomonie Market Food Co-op based in Menomonie,Wisconsin, and Roanoke Natural Foods based in Roanoke, Virginia, are P6's newest members. The Field Guide recently spoke with Aaron Reser, P6’s national director, about the network’s near and long-term ambitions, including a branding strategy that is enabling consumers to identify the food purchases that will strengthen the supply chain of small, local, and cooperative farmers and producers in the US and globally. Aaron Reser, P6's national director, says the members of P6 work together toward a shared vision of the larger impacts they can have on the food system as they grow the network. Now based out of the Seward Cooperative in Minneapolis, P6 began in 2008 as a conversation among the producer coop Equal Exchange and a group of consumer retail coops across the country that were interested in developing a program focused on supporting all small producers—both local farmers as well as international small farmers producing crops like coffee and cacao. P6 began with a shared desire to build a strong international supply chain for small-scale producers that would serve the larger purpose of building a just and healthy food system. The conversation revolved around a reflection on what had happened in the fair trade and local food movements in the past 20 years. The group then began to explore what more needed to be done. P6 was created to use those criteria to filter for, and promote, shared value in the food supply chain. While the majority of small producers who receive the P6 branding are not cooperatives, actual membership in P6 is limited to retail coops and producer coops, and P6 is itself a cooperative. Aaron reports that it is heartening to see how many small retail coops are starting up around the country, and that some of them are also worker cooperatives. Although currently all P6 retail members are consumer cooperatives, worker retail co-ops have also recently expressed interest in P6. Aaron anticipates growth in P6 membership, but through experience, expects a natural winnowing process among those who express initial interest. “About 50 cooperatives are showing interest and we are about to see which of them will take the step of joining,” Aaron reports. The P6 board filters to determine who will be a good P6 member, not only looking for a strong alignment with the P6 vision among key decision makers, but also a demonstration that all coop staff are prepared to flex their participatory muscles. P6 members often actively seek out new P6 producers in their local region. For example, when one of Seward Cooperatives’ main meat producers was retiring, a staff member worked with that producer to identify alternative local suppliers so that the coop could continue to provide local meat to its customers and the local meat processing plant could be kept in business with a new customer. The search for local producers tends to be easier in fresh departments because there are more producers, but harder in the grocery department where local products are less widely available because of economies of scale challenges. “Grocery product development can be much more capital intensive, in terms of need to buy the equipment and the facility to do a value-added food product, compared to growing produce and selling directly to the store,” Aaron explains. Micolending programs like Viroqua’s can help with that challenge. “One of the most valuable roles P6 plays is to connect our members so they are talking to each other and sharing ideas,” says Aaron. “It is people making it up as they go along, recreating local and regional food systems that maybe once were there but don’t exist right now." P6 holds annual meetings—this year the Ozark Natural Food Cooperative will host—where members meet face to face and can observe first hand what the P6 branding campaign looks like in another member’s store environment. “Ozark works very closely with its local producers. so they are excited about taking P6 members on a farm tour and to get us out to their community and show off the work they are doing,” Aaron reports. P6 also holds monthly virtual marketing committee meetings to spark ideas and energize the membership on a continual basis. P6 members are generous about sharing their skills with one another. For example, those with larger marketing and design departments often share expertise with smaller coops. However, she notes, there have been instances where P6 producers started small and grew their business to the point where they were bought out by a larger entity that didn't fit the P6 ethos and was no longer considered eligible for P6 branding. “Because P6 is rooted in the coop model it promotes that model as a way to achieve scale and growth and still remain values-based,” says Aaron. 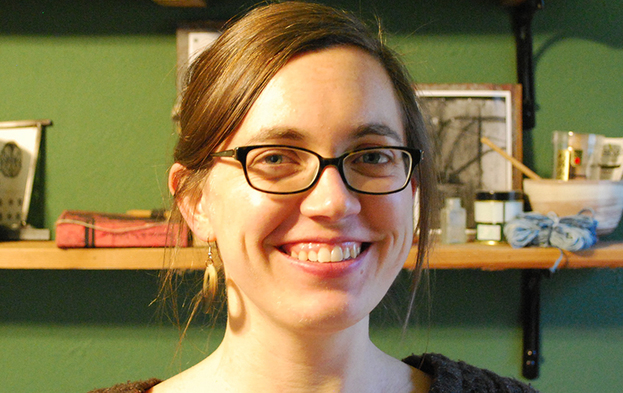 Aaron says the members of P6 work together toward a shared vision of the larger impacts they can have on the food system as they grow the network: “What if P6 could become a motivator in creating P6 supply chains?” she asks. “What if we had so many coops here that we instantly had a market for an international product like cashews? Or what if we had so many P6 members regionally in the Midwest that we could start working more closely with other producer coops to get their products into all of these stores at once? “ She cites, for example, a coop of small organic Canadian grain producers who have been looking for ways to create a new shipping route to the Midwestern US. They are now talking with P6 coops as a foot in the door to the larger coop retail market. “When P6 is at a scale where we can provide that larger market share I think there are some really exciting things that can happen at a bigger systems level and at the supply chain level, at the same time that we are doing all that great community work with local producers,” says Aaron. Principle 6 Cooperative Trade Movement from Principle Six on Vimeo.